It has been two decades since the release of Pokémon Yellow, a game that defined and solidified fans’ passion and love within the Pokémon franchise. Yellow was, in fact, an enhanced version of Pokémon Red and Pokémon Blue, which allowed players to have their starter Pokémon, the adorable Pikachu, follow alongside their in-game character. 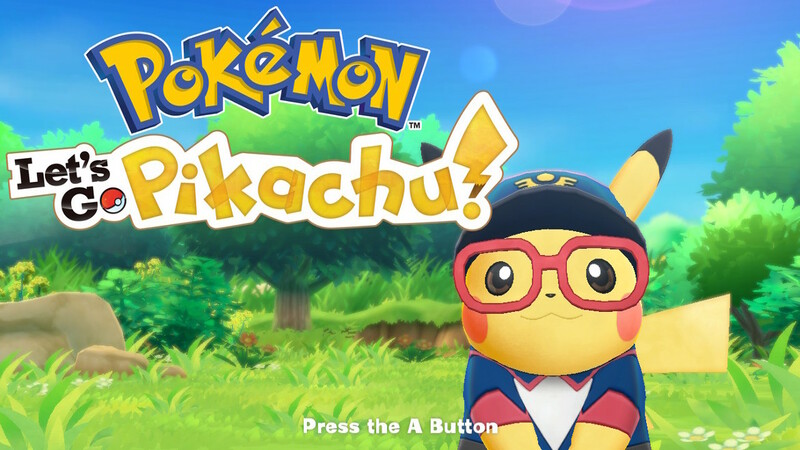 A feature, which has not only been added to the remake of the game, or rather remakes, but a feature that absolutely shines in the Switch’s latest Pokémon titles. First, a step back, if you have been living on a remote island for the past 30 years. Pokémon follows the story of a young girl or boy with the dream of becoming the world’s very best Pokémon trainer. And Pokémon, otherwise known as Pocket Monsters, are monsters that can be raised and trained by players to battle against other trainers to determine who is the better trainer. Since Let’s Go Pikachu! and Let’s Go Eevee! are remakes of Pokémon Yellow, they follow the same premise as the previous Pokémon titles and so much more. 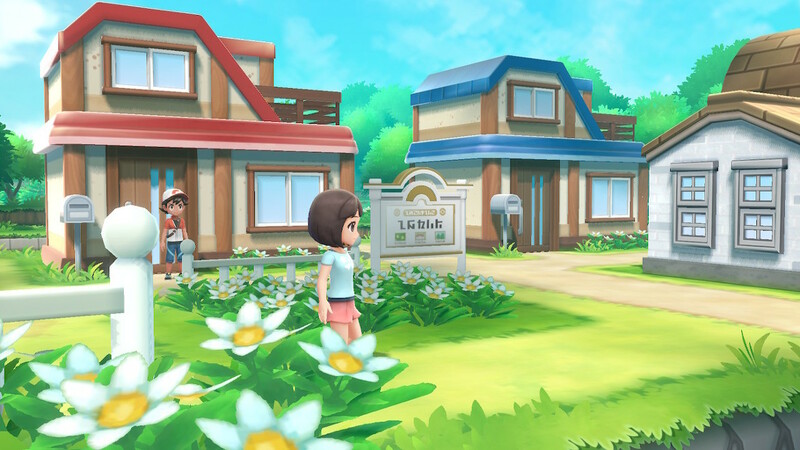 Although your character within the game is just beginning their journey as a Pokémon trainer, for many out there it will be more of a return to Kanto and what a gorgeous return it’ll be. Immediately after starting the game, you will realise just how much more beautiful Kanto has become. 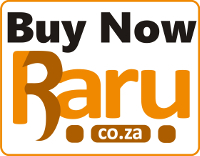 Take for instance your feeling of nostalgia. If you grew up in the 80s, 90s and even early 20th century, you have an idea or image in your mind of your favourite titles. And more than often if you look up that game or even play it again you’ll be disappointed, as it’s just not as you remembered it. In the case of Let’s Go the opposite is true. Let’s Go’s Kanto is a lush, vibrant and lively place. With the cities and towns sprouting with life and the open roads or grassy areas that are usually only occupied with trainers or empty space and grass are now bustling with Pokémon life. Indeed, having the Pokémon actually spawning in front of you where you are able to see them is incredibly refreshing. 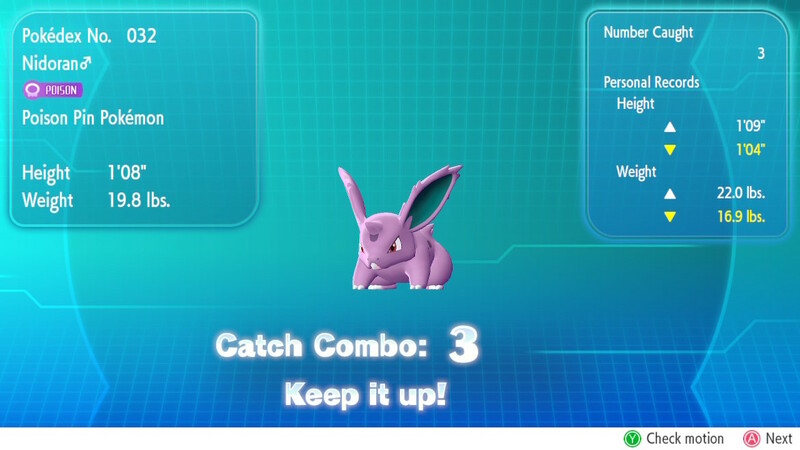 No more random encounters also means that you are able to chain capture combos, which increases your chances of capturing Shiny Pokémon. 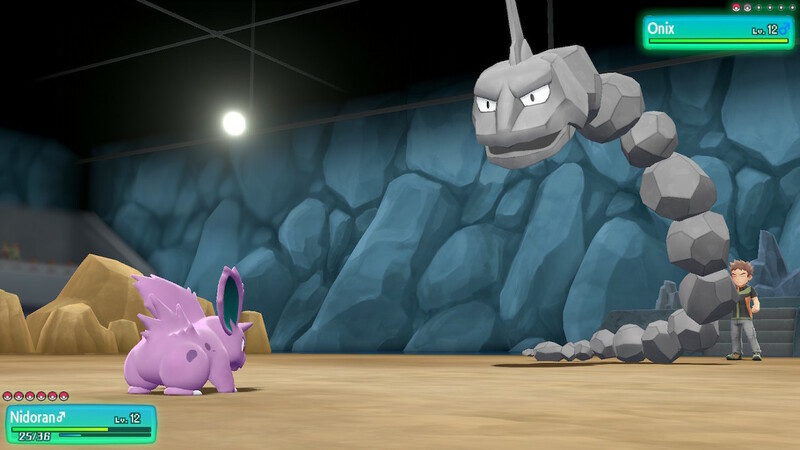 Let’s Go offers players not only a refreshed look at what Pokémon look like in their natural habitats but also the opportunity for players to completely avoid them. Which brings us to the elephant in the room…catching Pokémon. Although Let’s Go is a remake of Pokémon Yellow, there is one thing that we all need to remember. Let’s Go is in no way meant to be part of the core series. Although it may be a remake of a mainline Pokémon title, the game is meant to introduce new fans and Pokémon GO fans to the mainline series. Nintendo and The Pokémon Company have confirmed this with fans a number of times. Which brings us to one of the game’s major changes from the mainline Pokémon games: catching Pokémon. This feature, I am sure is not news to many of us out there, with the success of Pokémon GO, which introduced a new way of catching Pokémon. Let’s Go has adopted this method. It is in no way perfect, however, works well with what Let’s Go embodies. Players in Let’s Go will find themselves enticing Pokémon with berries, as they do in Pokémon GO. Instead of battling wild Pokémon down to a low HP level to weaken them first before capture, you now have to wait on a good moment and throw a Poké Ball at the Pokémon, hoping to catch them with either a Nice, Great or Excellent throw. A ring surrounding the Pokémon, which continues to close in a loop, determines the success of you hitting one of those parameters. If your Poké Ball hits inside of the ring at its smallest, you’ll have performed an Excellent throw which will not only increase your chances of capture but also grant you additional experience points earned for your battle monsters. Is this the only way to earn and level up your Pokémon you ask? No. Pokémon battles aren’t completely stripped from the game. Although you won’t be battling against wild Pokémon, you’ll still have to face many trainers scattered across the region as well as the gym leaders. The battle system, to the happiness of many, has not changed, with the exception of not being able to give your Pokémon items to hold. 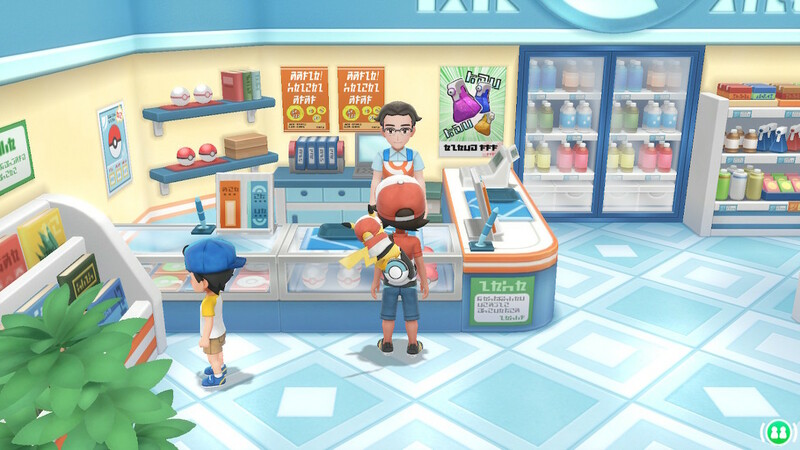 Unlike previous Pokémon titles, you won’t have to go back to the Pokémon Centre to swap out your battle team, you’ll be able to do that on the fly where ever you are. Sadly, this also means that alongside the new capture system, the difficulty spike has been reduced exponentially. I missed the stress of trying to make it to the Pokémon Centre without knocking out all my Pokémon. And the only danger I experienced when encountering wild Pokémon is the danger of not being able to catch them. With the Switch having so many options in respect of controls, Let’s Go implements quite a number of them. 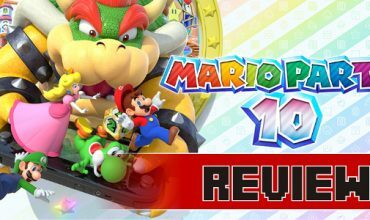 Primarily you’ll be playing the game with one Joy-Con when in TV mode or in handheld mode. Which I found comfortable enough with the exception of the Joy-Con not recognising my movement when throwing a Poké Ball in a certain direction, which in turn wastes my stockpile of Poké Balls or grants the wild Pokémon an opportunity to escape if I take too long to capture it. When in handheld mode, with both Joy-Cons attached, the Switch uses the “A” button to throw the Poké Ball at the Pokémon, however, it simultaneously incorporates the motion control on the Switch to aim at the wild Pokémon or you can utilize the Joystick to control the aim. Handheld mode with both Joy-Cons attached seemed more natural in the capturing of Pokémon and if you’re grinding for levels or to chain catches, handheld mode is the most comfortable way to do so. Having the Pokémon actually spawning in front of you where you are able to see them is incredibly refreshing. Handheld mode isn’t always an option though as you’ll need to split the Joy-Cons if you’d like to play co-op. Or perhaps I should rather say, co-op/spectator. Because often that’s what it seems like, when you’re running alongside the main character. Let’s Go offers players the ability to have a friend jump into the game by the shake of a Joy-Con. However, this second player will be restricted in more than one way. If the main character leaves the second player in an area the camera pans away and focuses solely on the first player, leaving the second player running around off screen or forcing them to disconnect and re-connect. 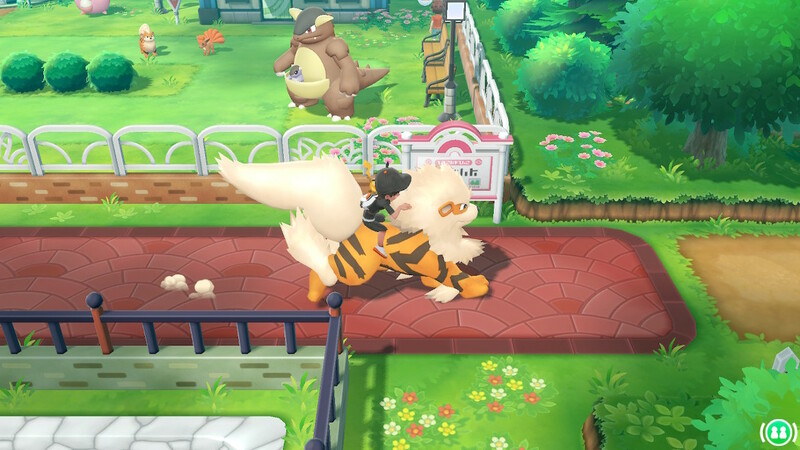 The first player is able to ride on top of larger Pokémon such as Onix and Arcanine whilst the second player cannot. And since movement is faster on top of a Pokémon, you’ll be left behind, always. Player one is also the only player that’s able to pick up items. So what can the second player do besides running behind player one? When catching Pokémon the second player will be able to select berries and throw in their own time. And when a second player participates in battle, they’ll be given a turn to select their Pokémon’s attack, or if they’d like to switch out their Pokémon. Although the options are okay, and not really mandatory to enjoy the game, having the second player take on some control in the open world would add to the enjoyment of exploring Kanto. Right now however it just feels as if the second player is a spectator or there to help battle and make capturing Pokémon easier…or harder, depending on how you look at your player two. Although the ‘co-op’ is not what I expected, my companion Pokémon, Pikachu was a feature that was surprisingly well developed. Pikachu will remain with you even when not in the battle party. Pikachu also grows and develops alongside the player. It’ll become mad at you if you don’t pay it attention. It’ll be happy if you give it berries and play with it. And most of all Pokémon that grow or level up alongside you on your journey gain an emotional attachment. Both my Pikachu and Blastoise shocked me when they either woke from being put to sleep because they heard my voice (hypothetically that’s what happened in the game). Or Blastoise took a devastating hit and should have fainted but held on with 1 HP because it did not want to disappoint me. And this is actually stated in game, when in battle. So make sure trainers that you not only take good care of your Pokémon but also don’t allow them to faint often. Although the ‘co-op’ is not what I expected, my companion Pokémon, Pikachu was a feature that was surprisingly well developed. Pokémon: Let’s Go, Pikachu! was a blast to play through. Dare I say Blast from the Past. Travelling through Kanto again made me nostalgic and yet I wasn’t bored at all. 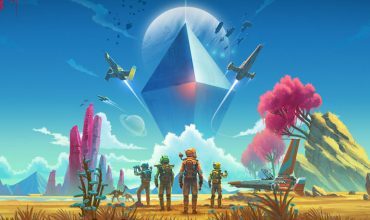 The game has more than enough new content to keep veterans entertained and excited while allowing new players the opportunity to discover a world filled with wonder and adventure. If you’re a Pokémon GO player you’ll also have the opportunity to transfer all of your Kanto Pokémon to the game. Which is thankfully only made available late in the game, so not to spoil the early hours. 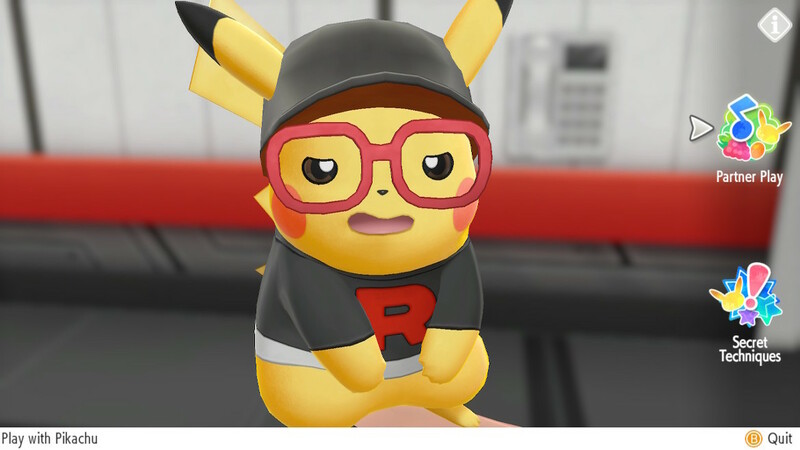 Pokémon: Let’s Go, Pikachu! and Let’s Go Eevee! may not be a mainline game and may have removed the standard encounter battle mechanics, but it is an incredible homage to the classic that is Pokémon Yellow. 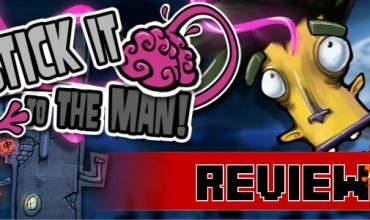 A nostalgic blast from the past that pays homage to a classic, Pokémon Yellow, and adds to the experience of becoming a Pokémon trainer for the first time once again.